One of the early French researchers, who, with Lumière, de Bedts and a few others, conceived perforated cinema film as early as 1895. 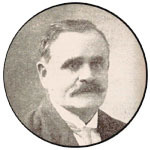 Born at Viomenil, Vosges in 1866, Henri Joly started in 1889 as gymnastics instructor at the school of Joinville, where Marey and Demenÿ sometimes came to make films. Attracted by all things mechanical, he discovered the Edison Kinetoscope, presented in Paris in September 1894. Early in 1895 he met Charles Pathé, a phonograph merchant with a shop in Vincennes. From May 1895, Pathé imported the pirated Kinetoscopes manufactured in England by Robert Paul. The fairground clientele tired of always seeing the same films, and the copies wore out rapidly. Joly offered to make a camera for Pathé in order to renew the stock of films. Pathé advanced the necessary funds and on 26 August 1895, Joly filed his patent for a camera capable of serving both the projector and Kinetoscope. His machine used a mechanical movement inspired by the Demenÿ system. With this camera, Joly made, in September or October 1895, Le Bain d'une mondaine, a 'smoking room' film for the Kinetoscope. On 8 November 1895 he filed another patent for the 'Photozootrope', a large Kinetoscope with four eyepieces. Some examples were manufactured, but it was not a great success. In 1896, Pathé came to understand the importance of the camera/projector manufactured by Joly. He broke with the inventor but reserved for himself the rights in the precious camera and started to exploit the machine and its films, with the success that everyone knows. Joly deposited three other patents in 1896; one for a camera, another for a method of avoiding flicker, and a third for a process of film-in-depth. In association with the businessman and engineer Ernest Normandin he exploited the 'Cinematographe Joly' - called the 'Royal Biograph' after the disaster at the Bazar de la Charité in 1897, at which a Joly projector had been in use, even though the fire had been caused by a Molteni ether lamp. 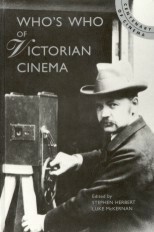 The Joly-Normandin Cinématographe was exhibited in Britain (where it followed Lumière at the Empire, Leicester Square) and Ireland as Professor Jolly's Cinematograph. In 1900, with the brothers Ernest and Edgar Normandin, Joly created the Société du Biophonograhe, energetically exploiting an electric system for synchronising the projection of film with the sound from a phonograph. Some sound films were made and projected, such as Lolote, a short talking playlet, but the company went bankrupt in 1902. Joly sold his patents to Georges Mendel, who on turn launched into the production of talking films. In 1906, Joly created the Société des Phonographes et Cinématographes Lux, which produced a number of films, but which he left two years later, following disagreements. He continued his researches, studying new systems for sound cinema. In 1905 he envisaged a system of recording sound film by means of a beam of light reflected from a mirror which vibrated in response to sound waves, but he was unable to translate his research to concrete form, and to earn a living he worked in an ironmongers. Twenty years later, he was a nightwatchman. Joly, who had introduced Charles Pathé to the technique of cinematography, died in Paris in1945, destitute and totally forgotten.